With July in full swing and the temperature sitting in the mid-twenties, Summer is officially at its peak and people everywhere are enjoying the sun. However, your skin is likely not such a big fan of summer and now, more than ever, you need to be looking after it while the mercury levels are still high. Summer presents some fairly large problems for your skin; sun damage, sweat, sun cream/lotions, air conditioning and everyday pollution can all irritate and harm your skin. Keeping on top of it requires a routine that is both gentle and effective, providing protection from the heat whilst clearing away the grime of the day. 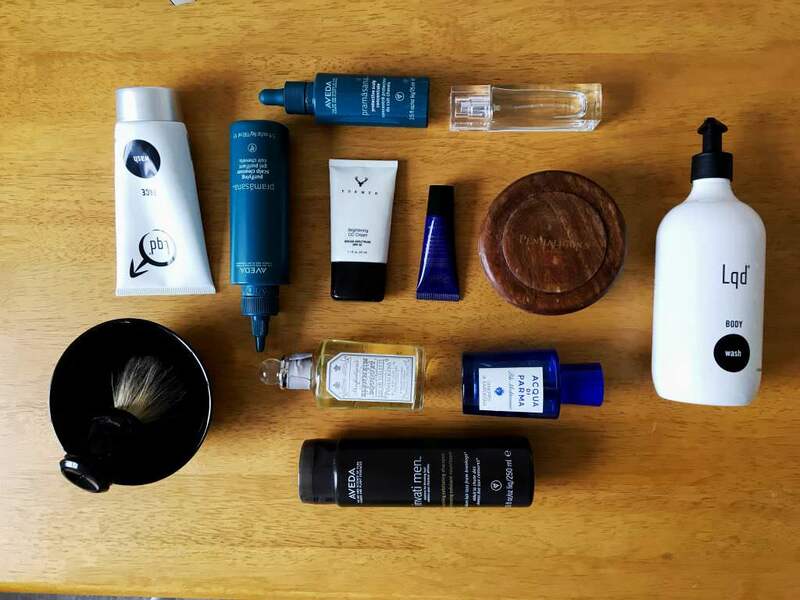 So, I’ve put together my daily summer grooming routine with some products that I’ve been using for years and a few I’ve only recently come across. Kiehl’s Night Recovery Eye Cream – Shorter nights mean longer days and those extended hours in the sun can be tough for the bags under my eyes, especially when those long days lead to late nights and lack of sleep. This eye treatment is great for using before bed and keeping away, bags/dark circles. A little goes a long way so apply a small dot under each eye and gently massage in towards the nose from the outside of the eye. Formen’s CC Cream – A great moisturiser and concealer cream for Summer to subtly hide any minor blemishes. It also has SPF 20 so keeps your skin protected from sun damage when you have a day in the sun planned. Use sparingly as a little will add just the right level of concealment whilst blending with your natural skin tone. Easy! 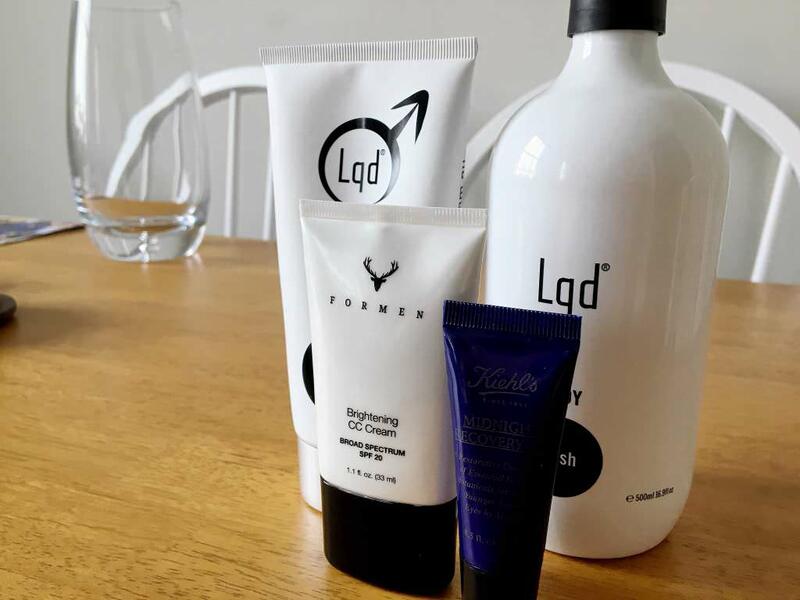 LQD Skincare Facewash & Bodywash – I met LQD at LFWM in June and had the pleasure of talking through their collection with their founders. An incredibly popular brand in Australia, they have moved to the UK to take on the market with their men’s skincare range. They were kind enough to give me a selection of their products and, having tested them over the past 3 weeks, I’ve found the facewash and bodywash to be their two standout products. The facewash is a cream, rather than a gel, which cleanses the skin incredibly gently but effectively clears away grease, oils and dirt. Unlike gels, which can sometimes feel a bit harsh, this feels more luxurious and is incredibly relaxing to massage over the skin before being rinsed away. Despite being a cream, it’s not overly thick but instead has a consistency that gently works to clear your pores and freshen the appearance of the face. The body wash is also somewhat unusual as it has a very subtle coffee fragrance that is difficult to smell when first applied but leaves a scent that is remarkably refreshing despite not being a typical “fresh” ingredient. It’s great to use whenever the occasion but I find it’s especially nice after a warm day in the sun when you want to get rid of the stickiness of the day. Due to the fact I style my hair using wax, haircare is important as residue of hair product can cause issues on the scalp. When the heat causes you to sweat, this can bond with the hair product and cause it settle on your hair follicles, causing issues associated with Folliculitis, head acne or greasy hair. With this in mind, I have a few products I rely on to keep my scalp clean, clear and healthy. Aveda Invati Nourishing & Exfoliating Shampoo – this is great for clearing away grease and grime on your scalp using natural ingredients and a formula that is both kind and effective. It’s a tad pricey but well worth the investment. It’s a regular in my shower and one which I always re-stock for the warmer months (though it’s great year-round). 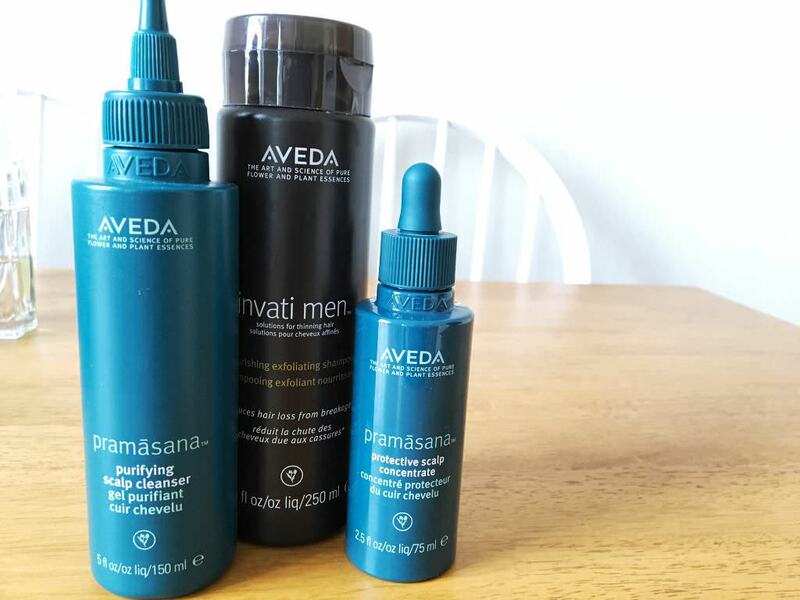 Aveda Parmasana Scalp Cleanser and Concentrate – I was recently sent both of these by Aveda and have found these to be incredibly effective at calming my scalp. Used before shampooing, the cleanser helps clean excess oils off the scalp whilst the Purifying Concentrate can be applied before styling keeping your hair thick and shiny. My issues with head acne, which regularly appear during the summer months, have been almost completely eliminated when used twice a week. 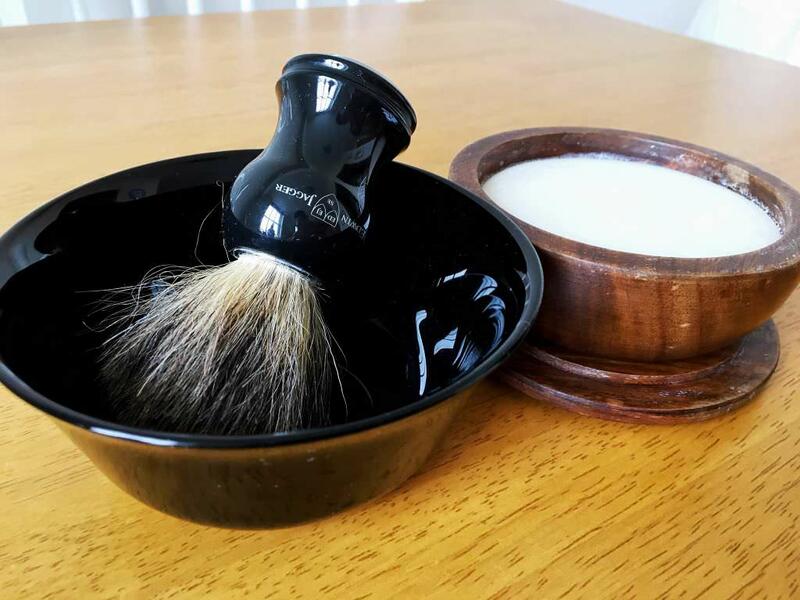 Edwin Jagger – Badger Shave Brush – I’ve made sure I have one of these brushes ever since I started blogging and they’ve never let me down. The soft bristles effectively work lather into the skin and soften hairs, minimizing the amount of effort/strokes you have to make with your razor. It also nicely massages the skin around the neck, chin and lips where spots are prone to occur, helping to clear out any grime/oils leftover after cleansing. Murdock Beard Conditioner – Whether you’ve gone clean-shaven or just trimmed the beard, this is a great year-round, post-shave treatment which nourishes and calms the skin and hair follicles. It’s quite thick and requires a little time to work into the skin, but the results are incredible and it’s subtle fragrance will work nicely with any shaving soap. Penhaligon’s Blenheim Bouquet Shave Soap – Another new find after being sent my way following their re-launch of the fragrance earlier this year. An incredibly refreshing soap using notes of Lemon, Line and Lavender to create a super-citrus burst with a delicate floral finish. Lathered with a good brush it creates a thick foam that moisturises the skin as you shave. Leave for around 5 minutes before re-applying and shaving. Skin is smooth and left with a subtle scent that is made for Summer. 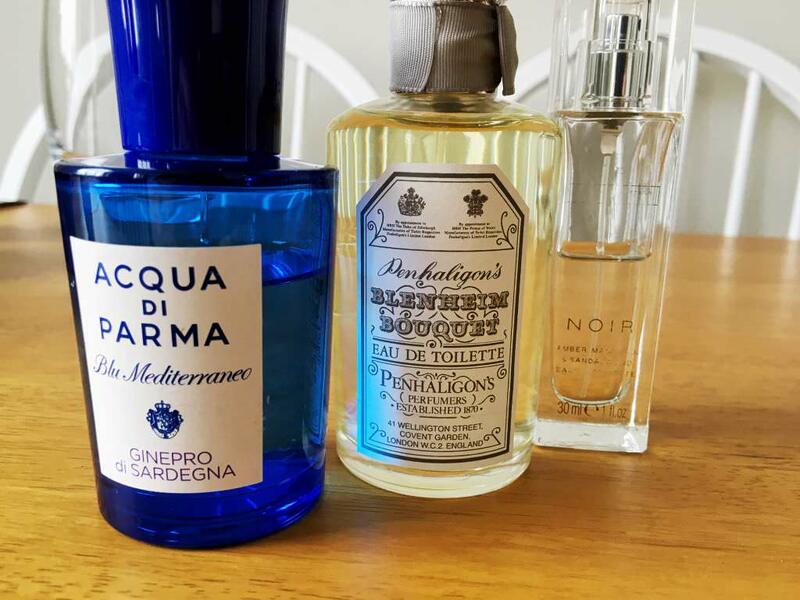 Acqua Di Parma Ginepro di Sardegna – This is a fragrance I’ve used for years and represents all my favourite elements of an Italian summer. It’s elegant and timeless, with refreshing notes of Bergamot and Juniper evoking Italian lakes and sun-drenched valleys across the riviera. For me, it’s just not Summer without this one. The White Company Noir EDT – I always rave about this fragrance in my fragrance articles and I’ll continue to do so until i get bored of it (i.e. never). It’s a warm, seductive fragrance with notes of rich wood and citrus, perfect for a date night on a warm summer evening or a day in the sun with friends. Everyone will love it. Penhaligon’s Blenheim Bouquet EDT – much like the soap, this is a citrus-based fragrance that is both refreshing and timeless. Apparently a favourite among British men for decades, it’s a truly refined scent that embodies the classic gentleman. Though it certainly has a bit of a kick when first applied, it settles into a beautiful, fresh smell that will last throughout the day. Thanks for checking out this post on summer grooming and make sure to let me know if you have any questions about the products or brand. You can also sign-up to be notified of new posts and follow The Male Stylist activity. Also, don’t forget to follow me on Twitter or Instagram for style inspiration, gentleman’s musings and general fun.